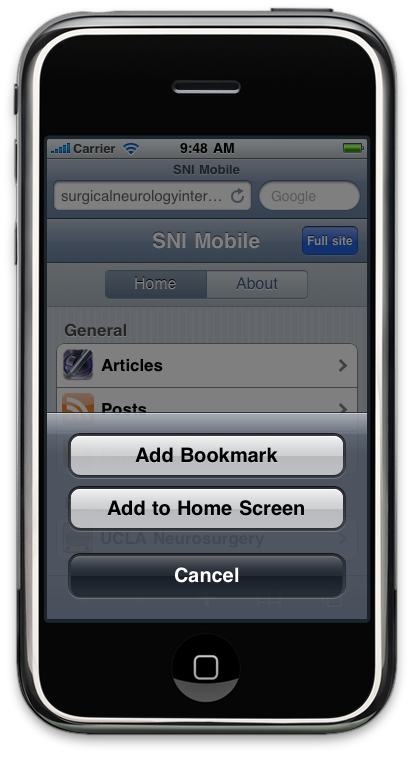 * Step 2: click on the + sign at the bottom, and choose Add to Home Screen in the dialog that appears. 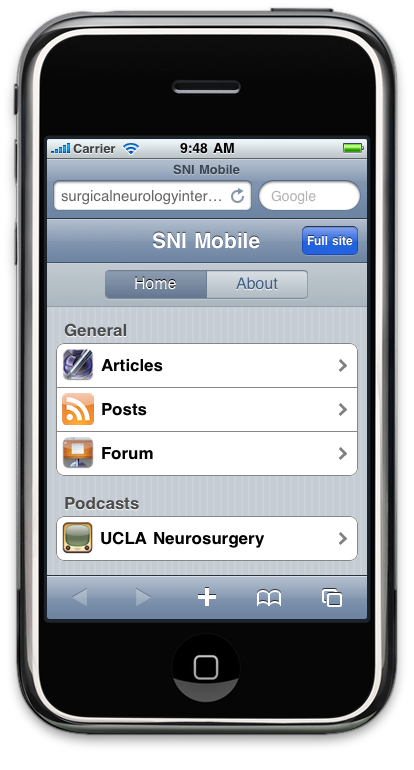 * Step 4: now you can quickly open the SNI Mobile application from your home screen by tapping ("clicking") the icon, and you can choose from the categories available. (1) You can already use this web app on your Android by bookmarking the site above. (2) We just released an official iPhone app in the App Store, and are working on an Android app as you requested. See http://bit.ly/bvQNdi for some screenshots.